Invest Openly: Weekend Thought - Time To Trim Some "Fat"
Weekend Thought - Time To Trim Some "Fat"
Being a middle-age man, the hardest part of fat to trim is around the middle i.e. tummy, there is a say in Chinese : 中年发福, it is kind of a common "curse" among the middle-age man and I am of no exception. But no, I am not going to talk too much about such "fat" here. What I am talking about are the "monetary liability fat" e.g. the credit card balances, loan repayment, "good to have" expenses etc.. In Singapore, the temptation to put on such extra "fat" is very high. Shopping malls (big and small) sprung up in almost every major housing estates and it is hard not to spend just a little bit extra to "enjoy" the more expensive stuff (quality is subjective though). 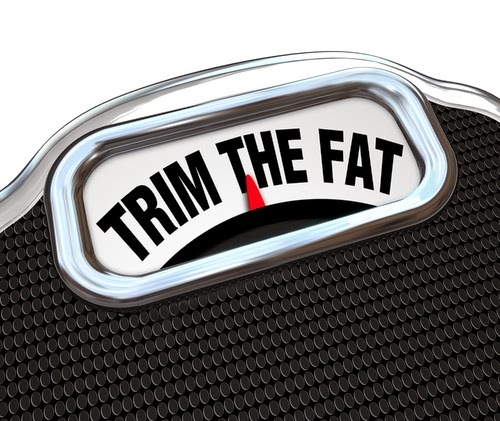 As we are left with only slightly less than 2 months for 2014, it might be time for all of us to review our current "fat" situation and look for way to trim off some of it. There is no better time to start than NOW. Are you fan of year end budgeting exercise for personal and family finance? Year end for family man is more commitments!. Children books, CNY ang pows, Parents allowance, etc etc.....That is where AWS/ bonus comes handy. Hi Richard, real tummy fats are more important I think! Without health cannot enjoy the financial savings! Jes, you are absolutely right! Without health, what's the money for?